Last week's top scorer in the newsquiz was Kieran Corcoran with an impressive 18 - a PB. Best team effort was the Batstone Collective, back on form with 16.5. Here's this week's quiz. As usual there are 25 questions. Let me know how you get on. 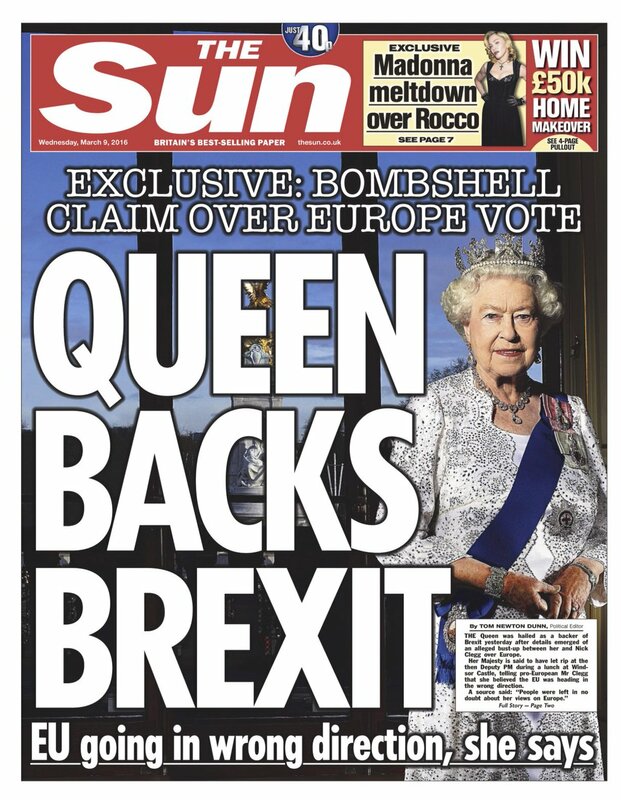 1. Who described the prospect of a British exit from the EU as the 'biggest domestic financial stability risk' facing the UK? 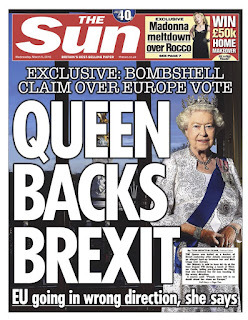 Bonus: Buckingham Palace complained to the press watchdog over a Sun article claiming the Queen backed Brexit. What is the full name of the press watchdog? 2. In which French resort did the Duke and Duchess of Cambridge go skiing with their two children? Bonus: They were accompanied by a photographer from which organisation? 3. A Government plan was defeated by 31 votes when Conservative rebels lined up with Labour and the SNP. What was the plan? 4. What is the name of the banned drug that tennis player Maria Sharapova admitted taking? 5. Who returned to work after saying: 'I am home and I’m happy and I can’t stop crying, which is mad’? 6. Who messed up Mothering Sunday and issued a statement saying: 'We know how important Mother’s Day is and we have apologised to and compensated all customers who have experienced a delay’? 7. A former Hollywood actress who was born Anne Frances Robbins died this week. How was she better known? 8. The Turkish government seized control of the country’s largest newspaper. What is it called? Bonus: Which organisation said that the mass expulsion of migrants from Greece to Turkey under a draft EU-Ankara deal would be illegal? Bonus: Barack Obama criticised Britain and France for allowing Libya to become a lawless 'mess'. The president was talking to which magazine? 9. Who quit a £663,000-a-year job after admitting to a ‘serious mistake’? 10. What two words did Hatton Garden raiders John Collins and Daniel Jones say to the judge at Woolwich Crown Court when he sentenced them to seven years in jail. Bonus: A copy of a book called _________ for Dummies was found at Jones’s home. What is the missing word? 11. Who announced she is taking a break from music after splitting with her boyfriend? 12. Premier League football clubs agreed to cap away tickets for the next three seasons at what price? 13. Ray Tomlinson, who died aged 74 this week, is famous for popularising which symbol? 14. He was born in Holloway, was an accomplished pianist, ran his his own dance band at 16 and was a sub-lieutenant in the Fleet Air Arm. Who is he? 15. Why was NHS consultant Dr Vladislav Rogozov suspended by Sheffield’s Royal Hallamshire Hospital? 16. Bernie Sanders pulled off his biggest win of the Democratic presidential race on Tuesday, defeating Hillary Clinton in which state? 17. Which suitcase brand lost a Supreme Court ruling which said a rival product did not infringe its registered design rights? 18. Npower announced plans to cut a fifth of its workforce. How many jobs did it say would be lost? 19. A 16-year-old schoolboy at Cults Academy in Aberdeen was found guilty of killing another pupil with a knife he bought where? 20. Air France said that a woman flew from Istanbul to Paris with what hidden inside her hand luggage?